[White Hat Rally] Not sure if White Hat Rally is for you…? It is! Join us!! 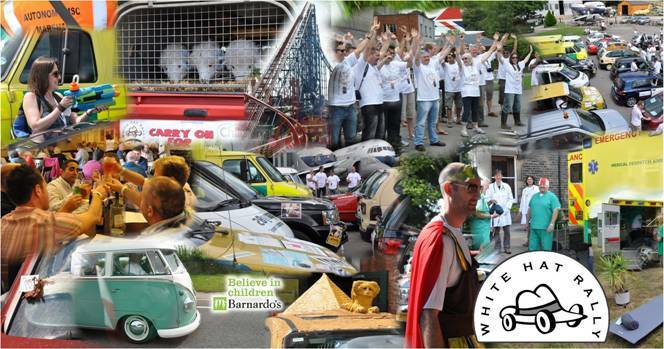 You’re wondering whether to sign up to this year’s White Hat Rally event, not sure if it’s for you? Don’t hesitate, sign up today and look forward to a fantastic weekend of fun, excitement, challenges and be confident that you will have a thoroughly great time and make lots of new friends. Chariots on Fire is going to be amazing! This is the best business networking event you will attend in 2012. Imagine spending 3 days with other business leaders building lasting relationships as you endure the challenges of the event. Based on past experience we know that you will meet business owners, senior professionals, and many talented individuals and get some great networking! Are you a ‘petrol head’? Then, we need you! Sign up now. A lot of teams will have no mechanical knowledge, they just want to have an adventure, a lot of fun and to raise some money for charity. Your skills could come in useful, but we want to see how you’ve pimped your ride! Many of our entrants are very proud of their cars, you’ll have a lot of interest in their creations! Are you after a fun weekend? If you simply want to do something a bit different and to have a lot of fun with some great people, then your should sign up now! This event is open to anyone (18 and over) who enjoys life. You’ll meet some great people, see some interesting and beautiful places, have many laughs, good food and of course beer! Unloved, lonely and isolated, Emma was targeted by an abuser. Emma thinks she was seven or eight the first time it happened. "I don?? ?t like to remember, it hurts. But I do know that after that I started behaving badly at school, I didn?? ?t want to go and I didn?? ?t want to talk to anyone. I ended up running away when I was 14. I was sleeping rough and staying on friends??? sofas. Everyone had let me down and I didn?? ?t want to get hurt anymore. I met an older man who I believed loved me and all I wanted was to be loved by someone." The man Emma met and believed to be her ???boyfriend??? was in his early 30s. He showered her with attention, gifts, alcohol and drugs. "I really thought he loved me, I would have done anything for him." Emma managed to run away and was found by the police, but she was too distressed to give her story. However, the police put the young girl in touch with a Barnardo?? ?s worker, who managed to gain her trust and slowly Emma began to reveal her true story. Child sexual exploitation is a major child protection issue across the UK. Hidden from view and going unnoticed, vulnerable young girls and boys are groomed via the Internet and are then abused, leaving them traumatised and scarred for life.??? Our “Chariots on Fire” charity rally takes place 22-24 June starting in Market Harborough, looping around Lincoln and ending near Milton Keynes. We have many activities and Olympic themed challenges planned guaranteeing an action packed fun filled weekend for all participants! Join us and try your hand at driving a real rally car, and have the opportunity to experience a double decker bus on a skid pan! 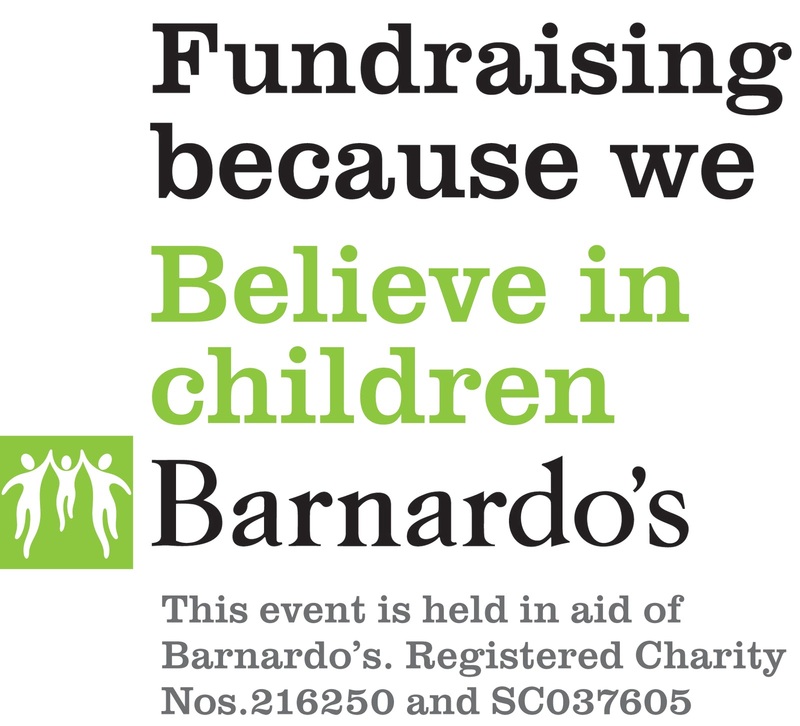 Support Barnardo’s in their work with vulnerable children and teenagers by entering a team, by sponsoring the event, or by making a donation. Join us – it’s not a race, you don’t need a special car or a “petrol head”, just an appetite for fun! In just three weeks 19 teams have already registered! Each team will uniquely represent one Olympic country, so to secure your preferred choice register your interest today, places are limited! Sign up online today, watch the video, or contact us to sponsor the event!